FARMINGTON - So far six teams have tried to stop the Newington boys volleyball team and so far all six have failed. 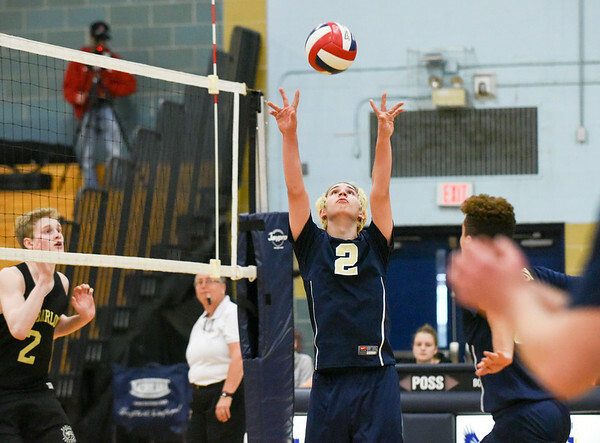 Farmington was the latest opponent to fall to the Newington, who earned its sixth straight win after coming out with a 3-1 victory Monday night after getting pushed with set scores of 25-23, 15-25, 25-20 and 25-22. Newington certainly got plenty of solid performances along the way. Leonel Caceres led Newington with 16 kills, while Riley Miller recorded eight. Dan Cloutier had 40 assists and four blocks, Mason Romano came away with five blocks and Collin Leidke finished with 18 digs. Despite not winning any sets by more than five points, Burns figures this match should benefit his team with another divisional opponent in Conard waiting on Wednesday. Posted in New Britain Herald, Newington on Monday, 16 April 2018 21:14. Updated: Monday, 16 April 2018 21:16.